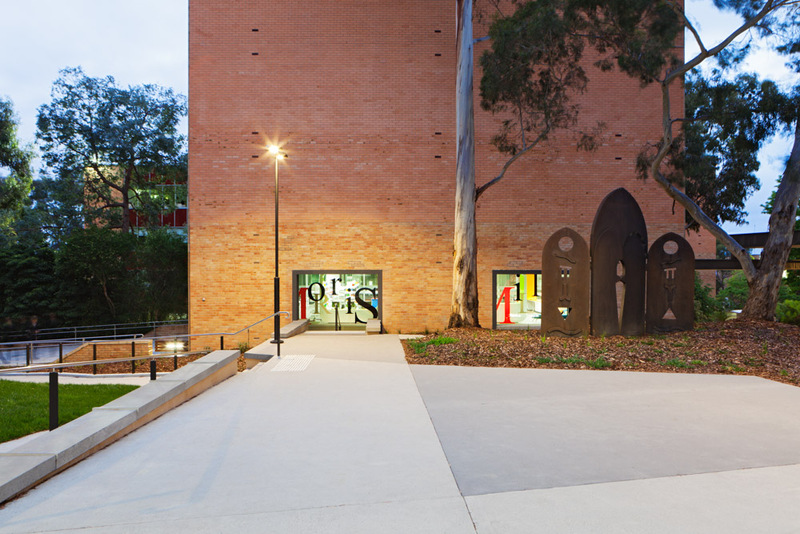 The brief for this project called on Urban Initiatives – using sustainability as the driving design philosophy – to fashion a central hub or “University Heartland” for student activity and amenity. 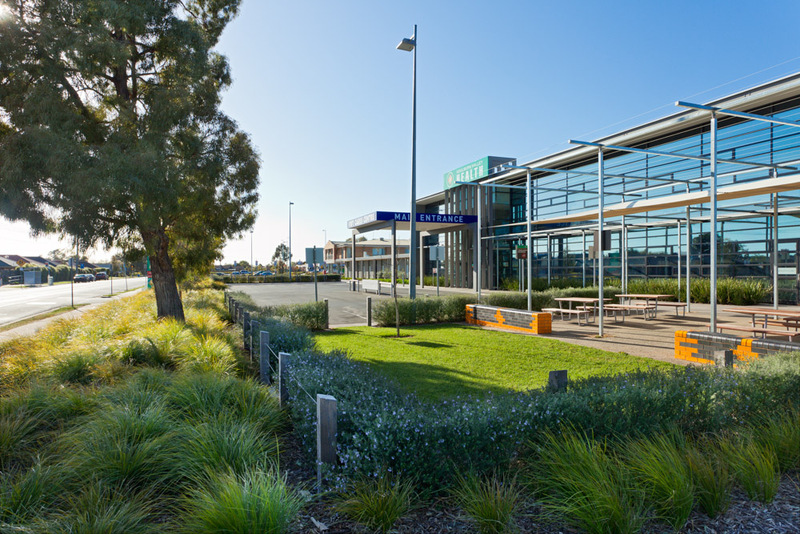 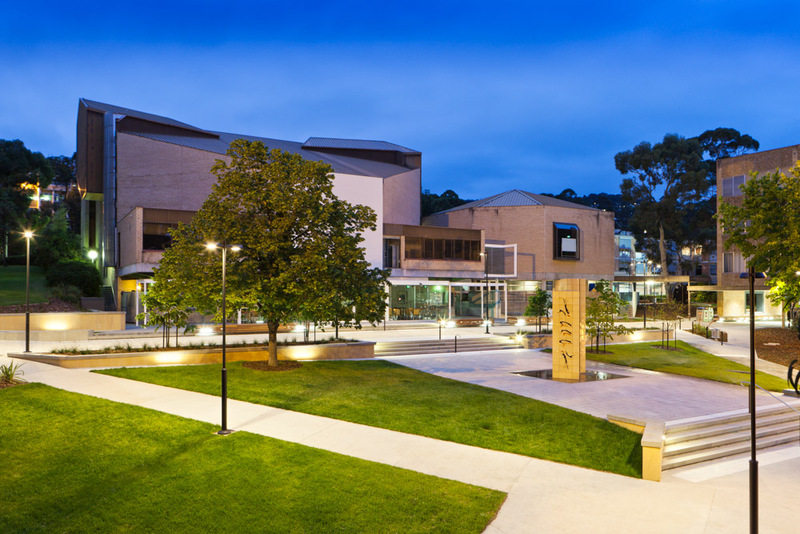 This required the reconfiguration of a series of under-utilised courtyards and disjointed external spaces at the UTAS Sandy Bay Campus, Hobart. 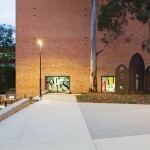 The design had to be safe and barrier-free; a ﬂexible space able to cater for large events and a variety of activities. 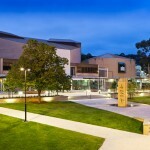 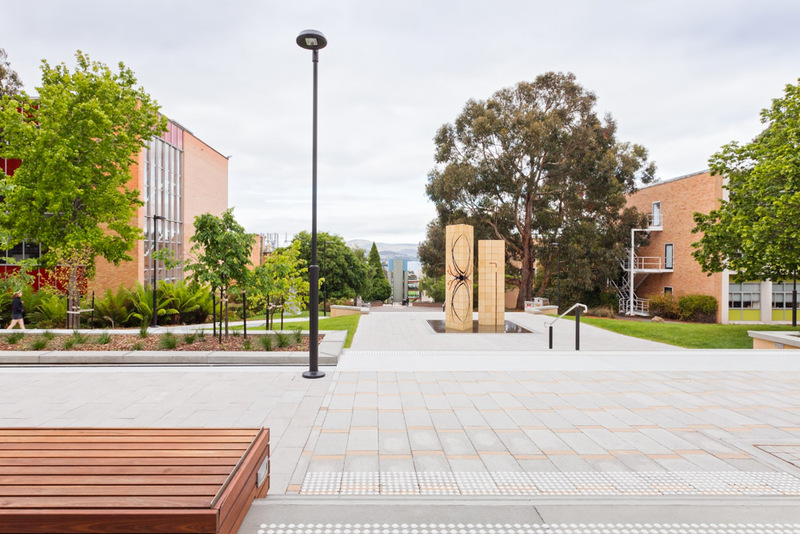 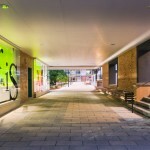 The project aimed to create a space that was inviting and comfortable, one with a high degree of design resolution and ﬁnish that would reﬂect the UTAS ‘Edge’ agenda, the UTAS ‘Brand’ and reputation. 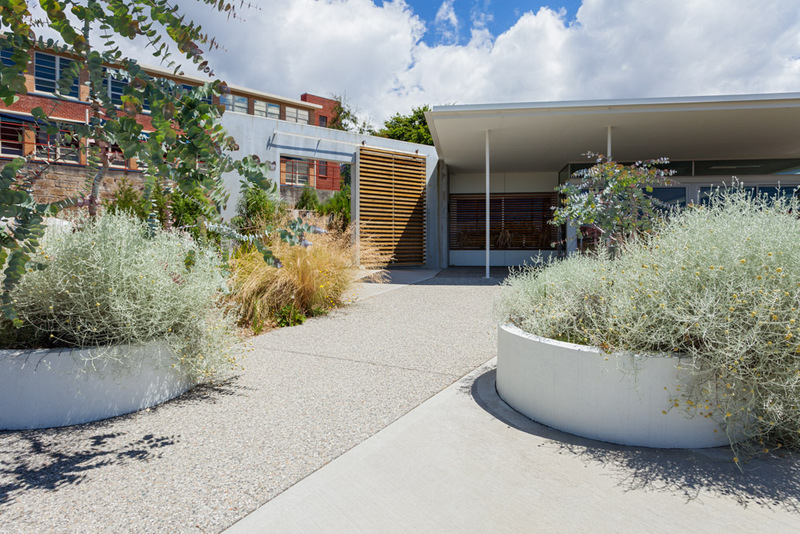 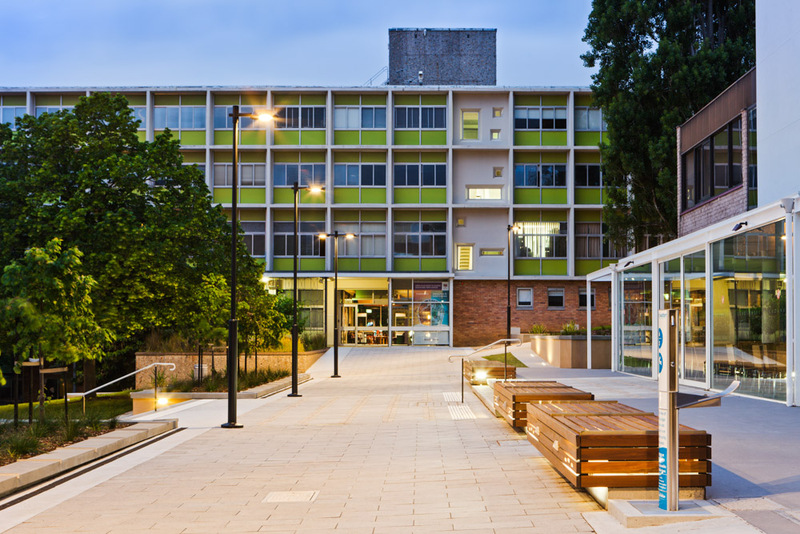 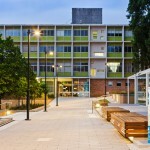 The distinction of the project lay in amplifying the unique attributes of the Sandy Bay Campus site, namely its heritage and setting. 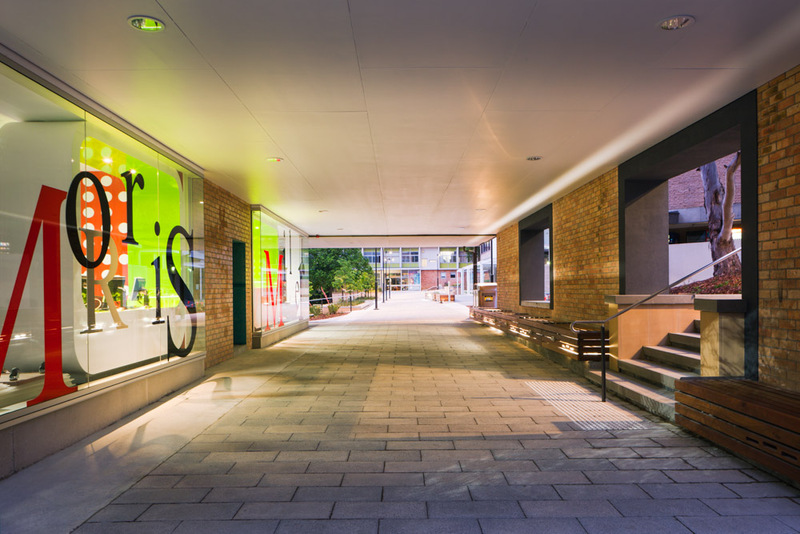 UI were challenged to show an understanding of the spatial qualities that characterise successful, vibrant, collegiate spaces. 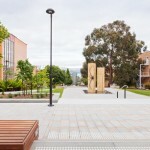 Through artful manipulation of existing spatial relationships and forging new site linkages the designers have created a high-quality, engaging and connective central landscape ‘spine’ which builds on existing strengths and assets of the university, promotes social inclusion and improves the overall vitality and amenity of the Campus. 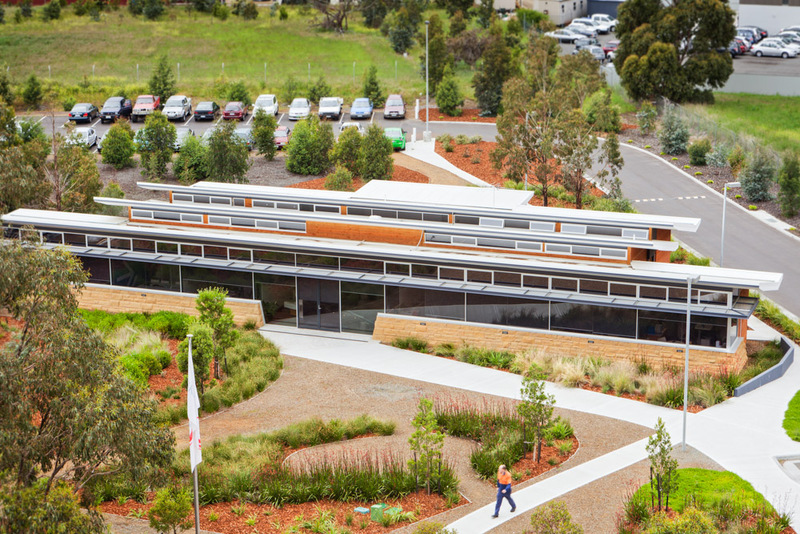 Numerous design challenges, including provision of continuous disability access throughout the multi-level site and incorporation of access & maintenance points for a range of underground services and building heating systems have been confidently resolved with minimal ground plane disturbance and a consistently high level of attention to construction detailing and finishes.